Yet another festival! 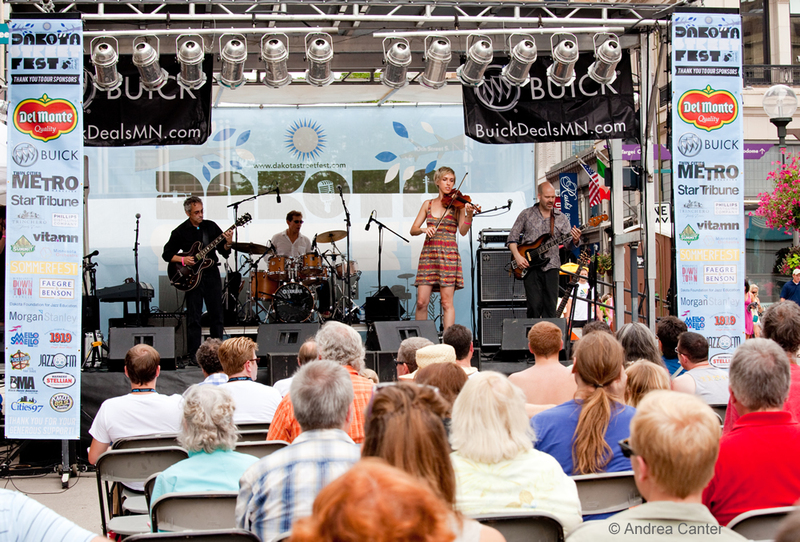 This weekend marks the return of Dakota StreetFest with its eclectic round-up of local and visiting artists, competing with the Lowertown Roots Festival in St. Paul on what promises to be a relatively cool, dry and pleasant few days. 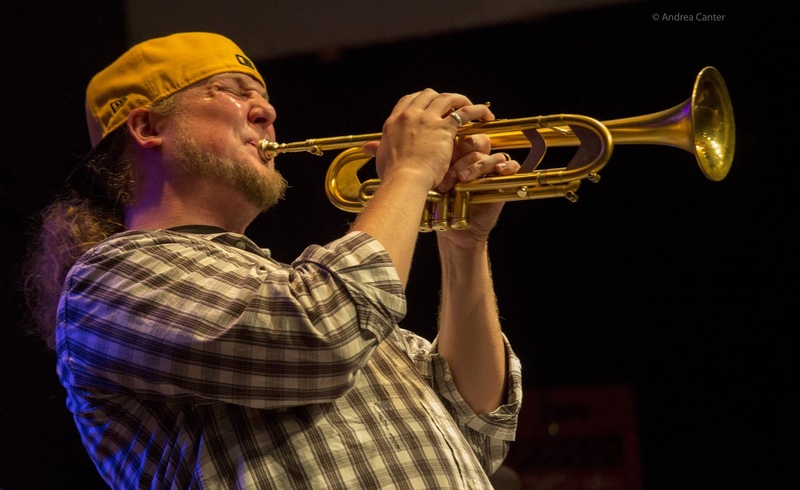 Babatunde Lea brings his volcanic quartet to the Artists Quarter, Kermit Ruffins brings musical barbecue to the Dakota, and the week continues with the Adam Meckler Orchestra’s debut at the Artists Quarter and the inaugural gig in the new Jazz Police Young Artists Showcase at the AQ. Friday-Saturday, July 26-27. 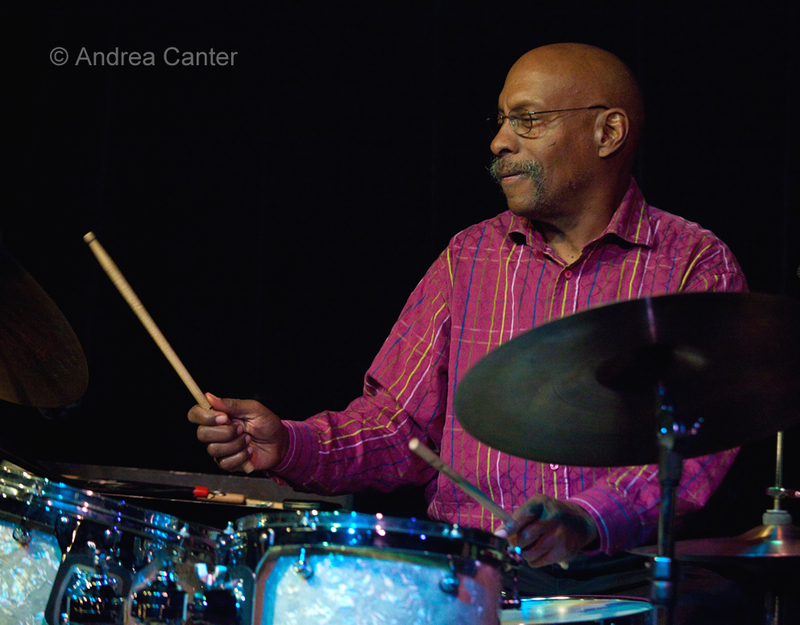 A couple years ago, a world renowned percussionist quietly slipped into the Twin Cities area and into the local jazz scene. But there is nothing quiet about Babatunde Lea’s drive to educate people of all ages about African percussion and its merger with American jazz, summed up in his own “troponga” – the fusion of African drumming and the standard trapset. 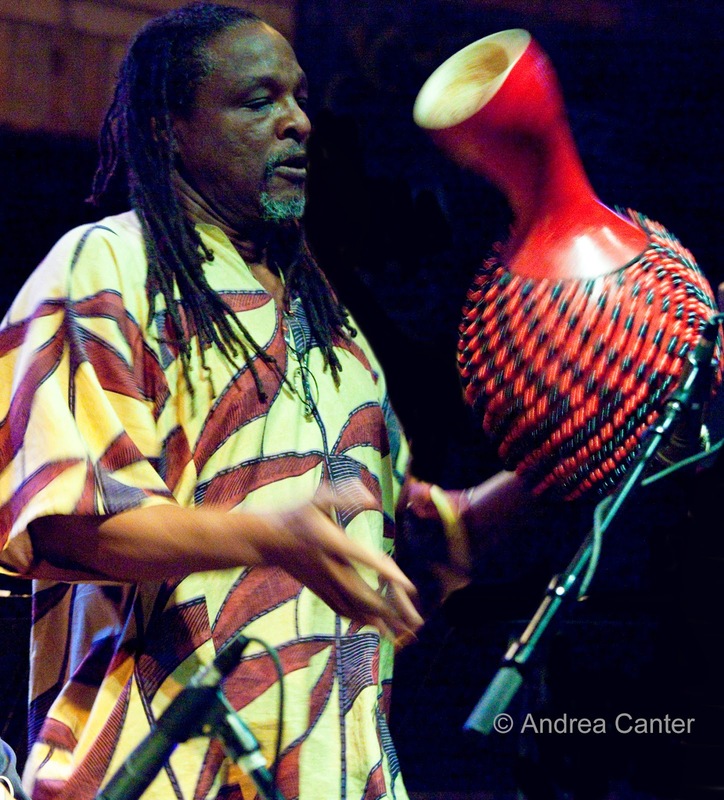 A passionate educator as well as musician, Babatunde has reached students in metro schools with his captivating approach to rhythm, and anyone within earshot of one of his gigs will learn as well as enjoy. And Babatunde has wasted no time in identifying compatible cohorts – this weekend at the Artists Quarter, he will collaborate with another recent transplant, pianist Richard Johnson (Wynton Marsalis, Delfeayo Marsalis, Bobby Watson), internationally acclaimed bassist Anthony Cox, and one of the newer and brightest stars on the local scene, trumpeter Solomon Parham. It will definitely be Jazz School/Jazz Cool. Saturday, July 27. Two free festivals of note for the diversity of the music: In downtown Minneapolis, Dakota StreetFest returns full force, with music between 10th and 12th Streets along Nicollet Mall from noon til dark. 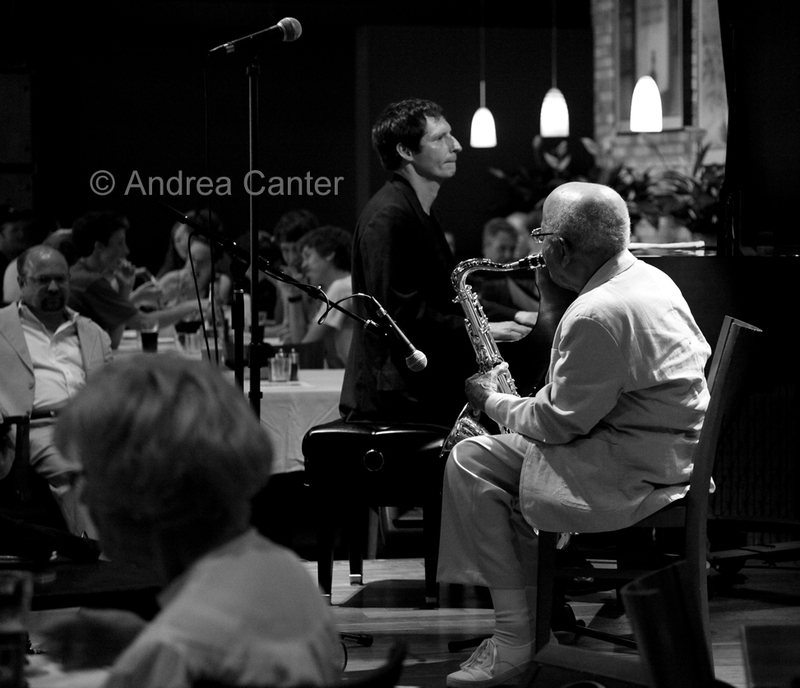 In addition to three outdoor stages, the Dakota club stage will offer an indoor respite from 4 pm when 93-year-old Irv Williams holds court with his trio (Peter Schimke and Billy Peterson). Earlier and outside, catch young jazzers (Twin Cities Jazz Workshop, Dakota Combo, PipJazz All-Stars); seasoned jazzers (Walter Chancellor, Rey Rivera, Cory Wong Quartet); star vocalists Pippi Ardennia, Patty Peterson, Debbie Duncan and Sophia Shorai; some great “roots” artists (Como Avenue Jug Band, Sarah Morris, Kenneth Brian Band, Toki Wright, Kelley Hunt, Davina and the Vagabonds) and more; or finish your evening inside with Paul Metsa and Willie Walker and Nachito Herrera. There’s a lot more, and it is all free, inside and out. Across the river in the festival-friendly Mears Park, it’s the annual Lowertown Roots Festival. 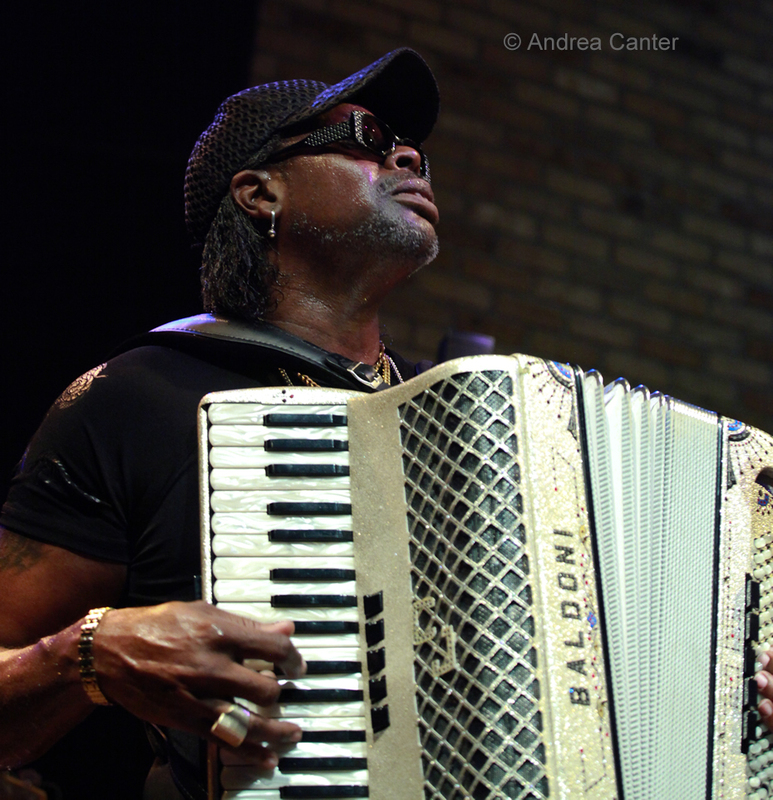 Among headliners this year are a couple acts well known to jazz audiences, violinist Randy Sabien and zydeco king CJ Chenier. Music starts mid-afternoon and runs til dark, and it’s all free. You can get an early start on Friday night at McNally Smith College of Music, with a square dance (and instruction) and jam sessions throughout the school complex. Another unique event down the street at Studio Z finds star drummer Eric Kamau Gravatt, an alum of McCoy Tyner and Weather Report, holding a rare drum clinic prior to a double-header featuring keyboardist Greg Inhofer’s Cockeyed Band with Gravatt, with David Gerald Sutton's ambient pop group The Electric String Quartet opening the night with music from their debut album The Vertical Horizon. Sunday-Monday, July 28-29. Although he was not available early enough to don his Barbecue chef hat, New Orleans’s trumpeter and party leader Kermitt Ruffins will arrive at the Dakota in time for two nights of delightful NOLA style jazz. Ruffins not only delivers great music, but any gig transforms into a party from the first note. Monday, July 29. 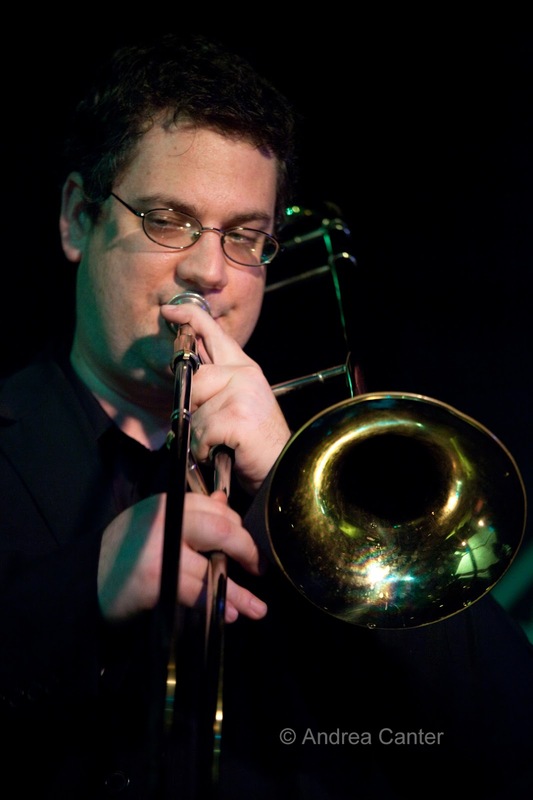 Trombonist Scott Agster appears monthly at Jazz Central with the Haining/Agster Explosion (big band), but tonight the young master appears in a much smaller context focusing on his talents as soloist, as the featured performer on the Monday Night series at Jazz Central. And you never know who will sit in. Fat Kid Wednesdays has been a frequent attraction at the Icehouse as part of JT's Jazz Implosion, but tonight is the last time to see this inventive trio until November, as FKW and individual musicians' touring will keep them on the road for a while. Tuesday, July 30. After more than a year holding down the last Tuesday slot of Jazz Central’s Big Band nights, the Adam Meckler Orchestra simply needed more space to accommodate a growing audience. With 18 musicians on stage, it will still be crowded at the Artists Quarter, but there’s more room for the audience to continue to expand, which is inevitable given the talents of Meckler and his band of mostly young lions. As always, the AMO concentrates on original works, mostly written by Meckler for this band. This is the start of a monthly “last Tuesday” gig schedule. Wednesday, July 31. Milwaukee based OPUS, an icon of straight ahead and fusion jazz, celebrates 35 years of music making at the Artists Quarter. OPUS members include keyboardist Jim Sodke, guitarist Steve Lewandowski, saxophonist and flautist Curt Hanrahan, bassist, Larry Tresp , and drummer Brian Ford. 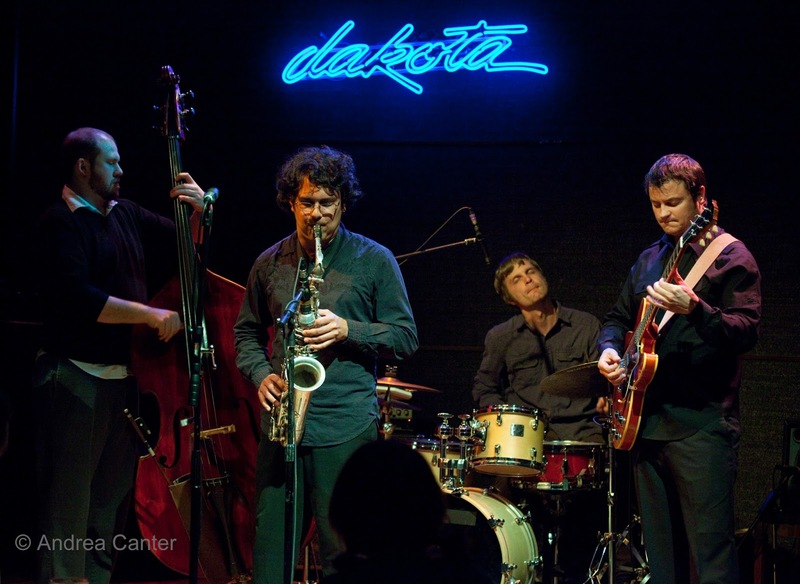 The band has a long history of club, festival, and college performances, and was nominated in 20013 for the Wisconsin Area Music Industry (WAMI) award for “Best Jazz Group”. 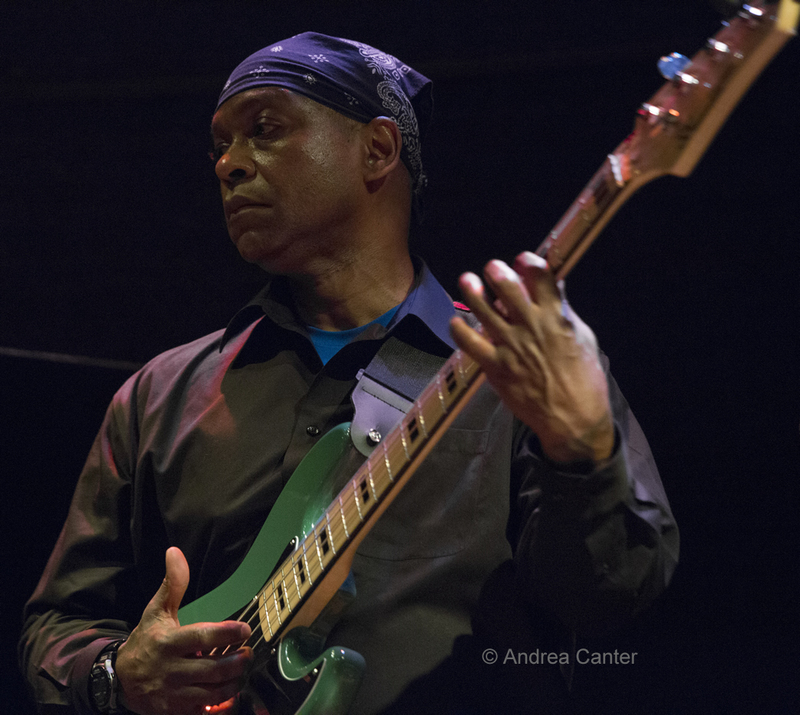 Across town at Jazz Central, bassist Anthony Cox performs a too-rare gig. 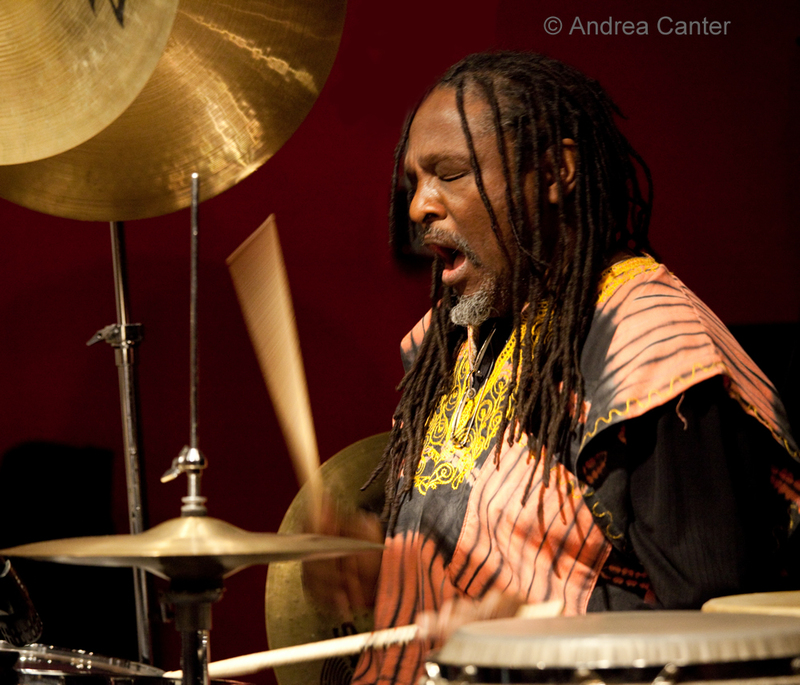 Cox has a lengthy resume including the great Dewey Redman, Stan Getz and Geri Allen. He was a part of Jeremy Walker’s Jazz Is Now, and recently debuted a new ensemble, Happy Spirits, which he brings into Jazz Central. Thursday, August 1. The Jazz Police online magazine hosts its first Young Artists Showcase at the Artists Quarter at 7 pm. Approximately every other month, the showcase will feature a school or community ensemble of high school and college level performers. With no cover, this is an opportunity to interest young people in jazz and to get a whiff of what lies ahead for the future of jazz in the Twin Cities and beyond. Tonight, three South High grads reunite for an evening of new arrangements and original compositions—Joe Suihkonen on trumpet, Sam Wildenauer on bass, and Emerson Hunton on drums. Joe and Emerson will soon begin their second years of study at the Oberlin Conservatory; Sam has been working around town as a freelancer and free jazzer, sometimes seen with free jazz wizard Milo Fine.